The Downtown Providence Parks Conservancy (DPPC) is looking for sponsors for its 2019 programming season. If you or your business is interested in supporting the placemaking work the DPPC is doing to activate our public spaces, consider becoming a sponsor and making a difference in the downtown community. Bringing healthy activity to our public spaces fosters a sense of community, reduces negative activity in the space and positively impacts the businesses in the area. 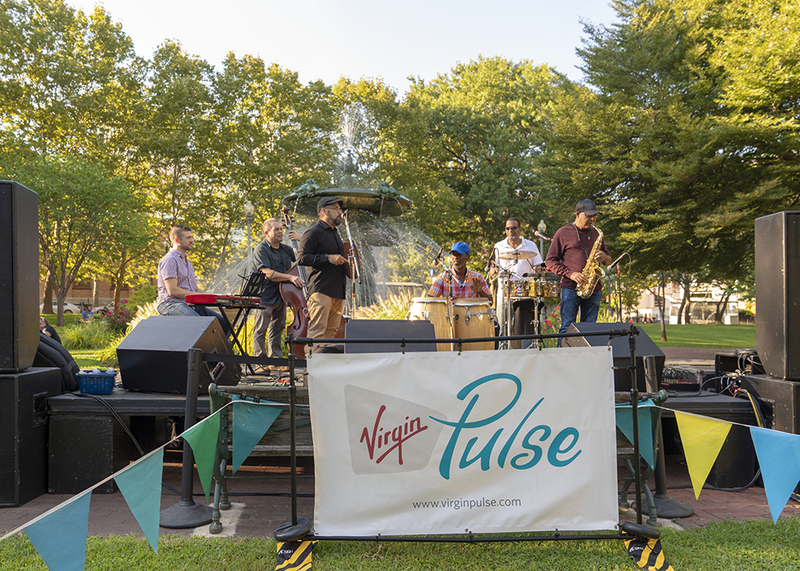 The DPPC presents a variety of free arts and cultural programs in Burnside Park throughout the summer that are always family friendly and accessible to residents and visitors alike. In addition to sponsorship opportunities, there are also volunteer opportunities for your business to help the community by beautifying the park. These events also serve as positive team building moments, where your employees spend time together outside of the office. Read more about the connection between activating a public space through programming in this recently published study, Active Parks, Healthy Cities, by City Parks Alliance. For more information about these unique opportunities, please visit the DPPC website.